Project Overview- The Smithsonian Museum will be mounting an exhibit on the 50 Greatest Innovations Since the Wheel, inspired by this article from the Atlantic. 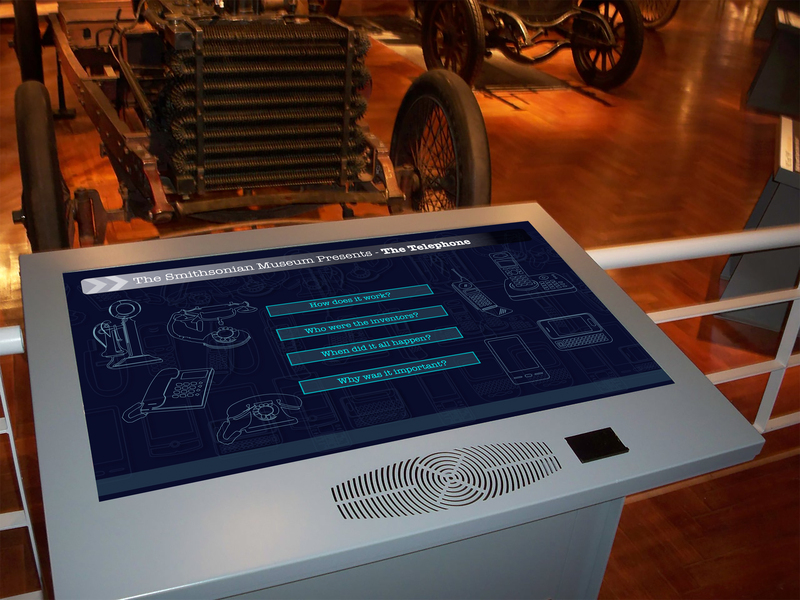 In conjunction with the exhibit, the museum will be creating a number of interactive kiosks visitors can use to learn more about the items on the list. This kiosk teaches the function, history and social impact of the telephone innovation.